Newport County have re-signed defender Regan Poole from Manchester United on a loan deal until the end of the season. 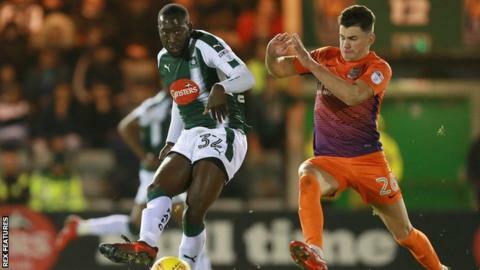 Poole, 20, became the Exiles' youngest player to start a game in 2014 as a 16-year old, before an initial £100,000 switch to Old Trafford. Poole has won 15 caps for Wales U21s and came through the Newport County academy when it was run by current first team manager Michael Flynn. "I'm delighted to have signed Regan Poole," Flynn said. "He is a player I know well having brought him through the Academy ranks during my time as Academy Manager, I knew then of the tremendous qualities Regan has to offer. "These will be invaluable to the team in the second half of the season. It's a positive for the club that we have been able to sign a player from Manchester United." Poole has made one first-team appearance for Manchester United since joining in 2015, against Midtjylland in 2016 in a 5-1 home win. Now back at Newport, Poole said: "As soon as I knew the club wanted me back on loan, it was a no-brainer really. "I feel like Newport County AFC can get promoted this season and I'm here to try and help them achieve that." "We tried on James Collins"
Flynn confirmed that Newport did try and achieve an audacious agreement with Wales defender - and Newport boy - James Collins. County boss Flynn and the ex-West Ham defender are friends from school. "I spoke to James a couple of times. I tried to get him until January, we needed a leader at the back, some presence, someone to organise, he would have been perfect," he said. "But it was definitely a cheeky long shot, because he can still play and now he is still playing, in the Championship, he should be at that level at least. "If you don't ask the questions, you will never know. And it wasn't a no, it was a wait and see because he got a chance in the Championship. "What he did in tearing up his contract with Aston Villa shows you why he's the sort of player you want in the dressing room and that is why Ipswich have gone and got him."